<li>Precisely what signs to look for that starts the 7-Year Period of Revelation. <li>How to identify Antichrist according to what Scripture says of him before he begins his global reign on earth. <li>How to identify the False Prophet who orders the Mark of the Beast. <li>How to identify the emerging apostate churches and their rapid gain in popularity. 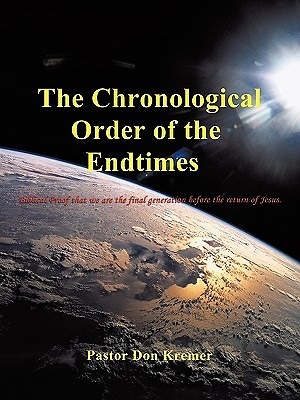 <li>The exact order of events as they occur according to the prophets of the Bible. <li>Critical information for you and your family to help prepare you for the days ahead. <li>Precisely where the rapture occurs in the order of endtime events.